From injured operators and drained batteries to low data visibility, operational downtime causes a multitude of warehouse inefficiencies. Learn how to improve warehouse productivity today. In the material handling industry, warehouse operations can make or break a business. It is widely known that downtime and inefficiency creates considerable costs for businesses; many of which are hidden, with little to no visibility. Not only does this directly impact on revenue, but it can have an adverse effect on the service level provided to customers and, if left untreated, the future of the organisation. ‘The knock-on effect this has on a business is they let their customers down’, said Graham Jones, Dealer Development Director at TCM. Servicing and maintenance are often neglected in the material handling industry. Some businesses consider them too time consuming to carry out. However, regular servicing is vital to maintain productivity levels by ensuring your equipment is working at optimum efficiency. Neglect a forklift truck for too long, for example, and you risk experiencing a full breakdown resulting in downtime and significant unforeseen material handling costs. This can be avoided if smaller issues are resolved before they become a significant problem. In the case of equipment servicing, prevention really is better than cure, and routine inspections will help to maintain optimum productivity levels in the warehouse. As is clear in the above example, warehouse optimisation techniques such as routine inspections are far more cost effective in the long run than having to replace equipment that’s beyond repair. Of course, not every breakdown can be avoided. 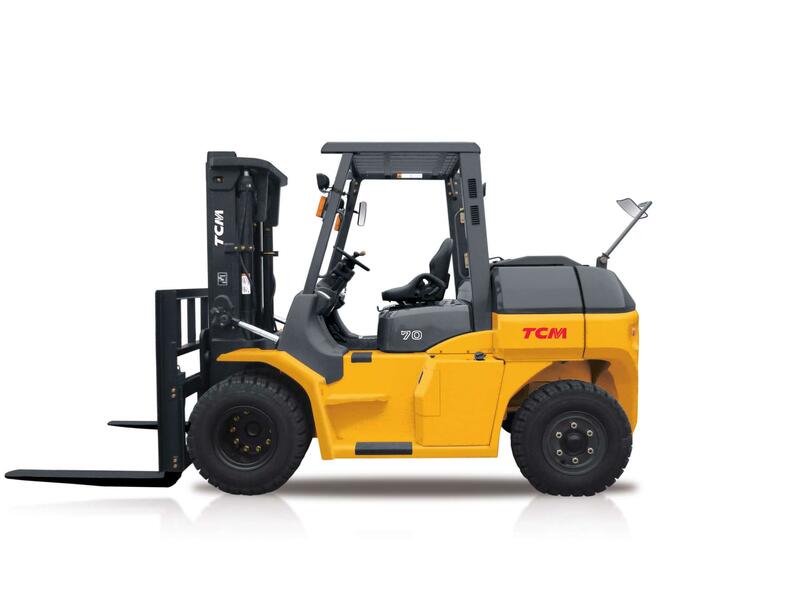 It is at times like this when an existing relationship with a specialist third party such as TCM can be invaluable in getting your fleet back on its feet, while ‘giving you the peace of mind that you’ve got a partner that can put the truck right’, said Graham. Another way to ensure maximum productivity in the warehouse is to monitor efficiency levels. It’s worth considering investing in more advanced fleet management software, too. By utilising the latest technology, your business can remain competitive, not to mention make operators’ jobs easier, safer, and quicker. Fork Truck Control’s Optafleet advanced fleet management system is a great example of this as it enables more accurate tracking, allowing your business to make more informed business decisions on TCO over time. The more regularly the tracking technology is used, the better the predictions become. This will vastly improve data visibility across your operation, thus equipping your business with the tools needed to maximise warehouse productivity. Asking for employee input should also be an integral aspect of monitoring efficiency levels, since your operators can provide you with firsthand insight into how long individual tasks take, the challenges, and solutions they’ve found to overcome them. When involving employees in the process, be sure to explain the benefits to secure their commitment. By identifying daily tasks, your business can estimate reasonable timeframes and agree on a standardised system that benefits everyone. To rapidly improve warehouse productivity, your business must put into place the means to analyse operations, identify inefficiencies, and introduce practical, effective solutions that save time, money. Don’t wait until shortfalls in efficiency lead to reduced profit—nip any underlying issues in the bud before they become a significant obstacle. Warehouse and inventory optimisation is equally as essential in maximising productivity. When identifying quick ways to improve warehouse productivity, reducing operator travel time should be a key priority in optimising your fleet. Although having as many racking or palette spaces as possible might seem like an easy way to increase efficiency, in fact the opposite can also be true. Overcrowded areas disrupt the flow of machinery, resulting in a slower operation. When products are not distributed correctly, this also creates inefficiencies. When operators are forced to search up and down the warehouse for a misplaced item, this makes their pick and replenishment duties slower. Inventory accuracy also goes hand in hand with warehouse optimisation. The first step in this process is to check your inventory. Are product areas clearly labelled and easy to find? Do your stock numbers match what’s present in the warehouse? Incorrect figures can result in incorrect sales and unaccounted for revenue loss. Not only does this affect your business, but it damages the customer experience and makes operators’ jobs more difficult. Tackle your inventory process and tackle most warehouse inefficiencies. An accurate inventory record and a clearly defined, standardised process will significantly improve packing operations for optimum warehouse productivity. Get this right and there will be no more incomplete orders or time wasted searching for misplaced or lost items. Standardisation needn’t stop at your inventory. Processes such as loading and unloading can also be standardised to regain lost efficiencies. Defining a centralised location for these processes can also reduce the time it takes to carry out a task, thus boosting productivity. By employing warehouse optimisation techniques including regularly servicing material handling equipment, employing a fleet management tracking system, maximising warehouse space, and maintaining an accurate inventory, your business can significantly boost warehouse productivity. The key takeaway is this: warehouse and inventory optimisation requires all parties to be committed to the same goal, which is reducing the time it takes for operators to carry out tasks, and ultimately making their duties as straightforward as possible to complete. Subscribe to our material handling blog and keep up to date with the latest material handling news and insights.